Sony came out with a bunch of new phones at MWC 2017 in Barcelona. There was new flagship Xperia XZ Premium along with the XZs, XA1 and XA1 Ultra. It seems Sony is back to six-month cycle for some devices, with the Xperia XZ only on the market for a few short months since IFA 2016. Nevertheless, we have four pristine and brand new smartphones from Sony mobile – some of which will have to compete with thepopular LG G6 and Samsung Galaxy S8 for the best phone of 2017 tag. At MWC 2017, Sony announced three other Mobile phones with a slightly bewildering naming system. There’s the smaller mid-range Xperia XZs (this is one of the confusing names – it’s not plural but the actual product name). In any case, this model is limited and won’t be shipping worldwide. The other new phones are the XA1 and XA1 Ultra – both successors to the XA and XA Ultra but we have the addition of the number one which is somewhat confusing. These both have a release date of ‘spring’, with no official exact dates. Let’s head straight to the premium Xperia XZ specs. 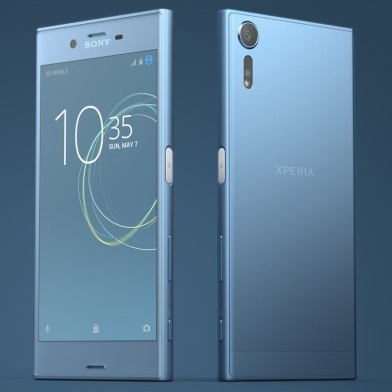 Most of the features about the XZ Premium are the same as the last year’s model but Sony is flaunting some new features including some ingenious world firsts. For starters, it’s got Qualcomm’s new flagship Snapdragon 835 processor which was believed to be exclusive to the Samsung Galaxy S8. According to a score posted in Geekbench, performance is very much the same as that of the Galaxy S8, which isn’t entirely surprising. The Xperia scored a little lower in the multi-core component (5824 vs 6106) but higher in the single-core test (1943 vs 1915). The top feature Sony is promoting is the massive 5.5in screen which is the first in a smartphone to rock 4K HDR. This sort of makes it a successor to the Sony Z5 Premium, the first 4K phone. However, you’ll be restrained to only some titles on Amazon Prime Video to watch 4K in HDR for supposedly improved colour, contrast and detail. This premium smartphone willbe available in a mirrored chrome colour, black and the above pink. Sony is renowned for some of the best phone cameras and it thinks the XZ Premium has one of the best ever put in a mobile. The resolution has come down to 19Mp but the pixels are 19 percent bigger and the camera can shoot in an incredible 960fps. Available in Luminous Chrome, Deep-sea Black, Bronze Pinkcolours.